The atheism versus religion debate on the Australian Broadcasting Commission's Q&A program between Richard Dawkins and the Australian Catholic Church's Cardinal George Pell has sparked a number of controversies. One of the more curious is that both sides sought to enlist the authority of Charles Darwin. Pell tried to advance a relatively sophisticated argument from the religious side, which might be summarised as "even if Darwinian evolution is true, it doesn't explain the existence of the universe in the first place". Pell said Darwin accepted this argument and had said "I have to be ranked as a theist". RICHARD DAWKINS: That just not true. 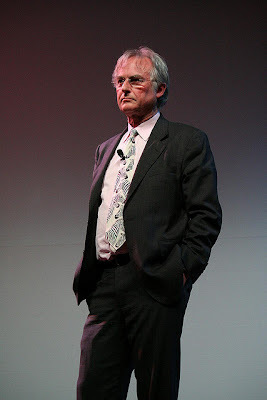 RICHARD DAWKINS: It’s just plain not true. GEORGE PELL: It’s on page92 of his auto biography. Go and have a look. And at that point the host veered the exchange in another direction. But look it up I did. And the news was not good for Pell on a couple of fronts. First, (and this I admit is a pedantic point) Darwin says nothing on page 92 of his Autobiography about being a theist. It is on page 93 that Darwin says "I deserve to be called a theist". So Pell was literally wrong. If that was all there was to the issue, I'd give the points to Pell. After all perhaps the paginations on some editions may differ. Surely the bigger point was that Darwin thought of himself as a theist, right? This conclusion was strong in my mind about the time, as far as I can remember, when I wrote the Origin of Species; and it is since that time that it has very gradually with many fluctuations become weaker. But then arises the doubt—can the mind of man, which has, as I fully believe, been developed from a mind as low as that possessed by the lowest animal, be trusted when it draws such grand conclusions? May not these be the result of the connection between cause and effect which strikes us as a necessary one, but probably depends merely on inherited experience? Nor must we overlook the probability of the constant inculcation in a belief in God on the minds of children producing so strong and perhaps an inherited effect on their brains not yet fully developed, that it would be as difficult for them to throw off their belief in God, as for a monkey to throw off its instinctive fear and hatred of a snake.I cannot pretend to throw the least light on such abstruse problems. The mystery of the beginning of all things is insoluble by us; and I for one must be content to remain an Agnostic. Darwin was writing this in 1876. He published Origin of Species in 1859. And he was writing it in the late 1830s, That is, he is writing about believing in theism up to 40 years earlier, a view he had now abandoned. This is part of a a much longer passage from pages 85 to 96 of the Autobiography which shows Darwin had been a Christian believer at the time of the voyage of the Beagle (1830s). He gradually but certainly abandoned Christain belief but appears to have remained a deist, or non-christian theist; and that appears to have been his position at the time of writing the Origin of Species (late 1830s to late 1850s). By the time of writing his Autobiography he appears to be a deist agnostic. (ie the God he was uncertain of the belief in was a deist entity rather than a Christian one). The only remaining argument about which he seems to hold doubt is the question of a first cause within the universe. He rejects arguments from biblical revelation, design and widespread personal conviction. He accepts the argument from the existence of evil. But perhaps all of this is of little help to the debate anyway. Why should we accord the 1876 Darwin greater status than the 1859 or 1838 Darwin? 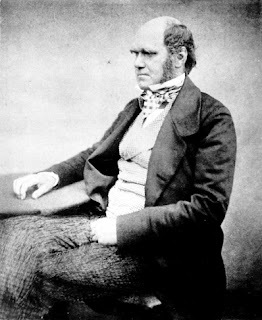 The 1838-59 Darwin, after all, was in the midst of developing the theory of natural selection, surely one of the greatest intellectual achievements of the 19th century. If, instead of expressing a view about theism, the ageing Darwin had disavowed the theory of natural selection, would we therefore feel obliged to abandon the theory? No, I think. The theory stands or falls based on the evidence to support it. It does not depend on the identity of its author. So really the whole question of what Darwin's views were at various times is really an appeal to an argument from authority - that is, a logical fallacy. So the debate was a disappointment, right? Well, some (here and here and including Dawkins, quoted here) have thought so, but in my view, no. When or who was the first human being? We can't tell, says Cardinal Pell. GEORGE PELL: "we can't say exactly when there was a first human but we have to say if there are humans there must have been a first one." GEORGE PELL: Well, Adam and Eve are terms - what do they mean: life and earth. It’s like every man. That’s a beautiful, sophisticated, mythological account. It’s not science but it’s there to tell us two or three things. First of all that God created the world and the universe. Secondly, that the key to the whole of universe, the really significant thing, are humans and, thirdly, it is a very sophisticated mythology to try to explain the evil and suffering in the world. TONY JONES: But it isn’t a literal truth. You shouldn't see it in any way as being an historical or literal truth? GEORGE PELL: It’s certainly not a scientific truth and it’s a religious story told for religious purposes. RICHARD DAWKINS: ....I’m not sure if it has a theological significance except that I think successive popes have tried to suggest that the soul did indeed get added, rather like gin to tonic, at some particular point during evolution; at some point in evolution there was no soul and then later there was one so it is quite an interesting question to ask. .... At what point did the soul get injected and what does the idea of original sin mean if Adam and Eve never existed? TONY JONES: I’ll just quickly let you respond to that, George? GEORGE PELL: Yeah, well, I mean God wasn't running around giving injections and if there is no first person we’re not humans. TONY JONES: Where did the soul come from then in the point of evolution? 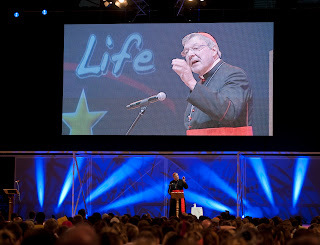 GEORGE PELL: The soul is the principle of life. There are animal souls. 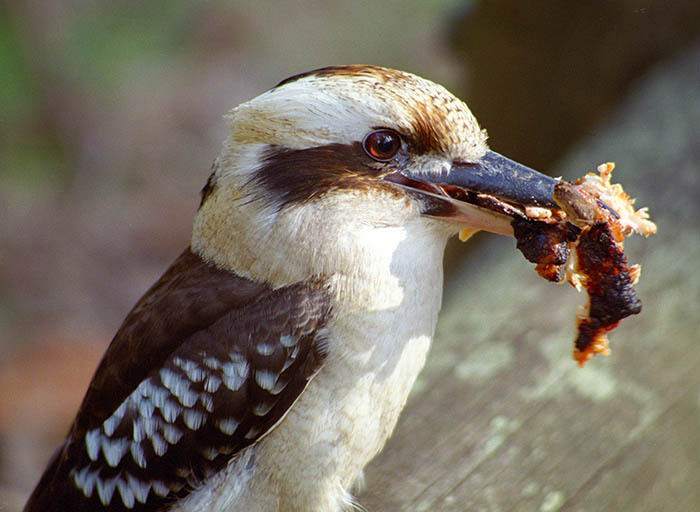 GEORGE PELL: All living things have some principle of life. An animal has a principle of life. A human has a soul, a principle of life, which is immensely more sophisticated. Can atheists be morally good? TONY JONES: .... about whether atheists can lead a good life and be good people and socially responsible and so on. TONY JONES: You accept that? GEORGE PELL:...from the Christian point of view, God loves everybody but every genuine motion towards the truth is a motion towards God and when an atheist dies, like everybody else, they will be judged on the extent to which they have moved towards goodness and truth and beauty but in the Christian view, God loves everyone except those who turn his back turn their back on him through evil acts. TONY JONES: So atheism is not an evil act? GEORGE PELL: No, not - well, no, in most cases it’s not. TONY JONES: So I guess to get to the point of the question, I suppose - I mean he may be having a little wager here but is it possible for an atheist to go to heaven? GEORGE PELL: Well, it’s not my business. TONY JONES: You’re the only authority we have here. GEORGE PELL: I would say certainly. disbelief crept over me at a very slow rate, but was at last complete. The rate was so slow that I felt no distress, and have never since doubted even for a single second that my conclusion was correct. I can indeed hardly see how anyone ought to wish Christianity to be true; for if so the plain language of the text seems to show that the men who do not believe, and this would include my Father, Brother and almost all my best friends, will be everlastingly punished. I hope so, says Pell, but I hope there's nobody in it. GEORGE PELL: ... The only people - well, one - I hope nobody is in hell. We Catholics generally believe that there is a hell. I hope nobody is there. I certainly believe in a place of purification. I think it will be like getting up in the morning and you throw the curtains back and the light is just too much. God's light would be too much for us. But I believe on behalf of the innocent victims in history that the scales of justice should work out. And if they don't, life is radically unjust, the law of the jungle prevails. Frankly, I would be surprised if these views had been expressed in Australia by a Cardinal, say, immediately after the second Vatican council. I think there has been some evolution happening in Catholic thinking. I know Catholics have never been quite so tied to biblical literalism as protestants. (No doubt this was part of the point of the reformation). Cardinal Pell is often referred to as a conservative Catholic, and sometimes spoken of as a possible future Pope. Some of these views suggest future grounds for accommodation with non-believers. I am a Catholic in a small rural NY town, not Rome.......the views of the Cardinal are not foreign to me. The historical-critical method of bible scholarship was looked upon favorably after Pope Pius X!! 's encyclical on Scripture Studies (1943). Pope Benedict XVI recognizes nothing corrupt about the method, but there are limitations. I think George Pell is a facinatingly intelligent man with progressive views on Christianity. He has enlightened my views on the subject. You're an idiot if you're going to whine about him being 1 page short of the quote that he was correct in citing. I admitted it was pedantic. I was not whining about it. Seriously? SaveWhiteBeauty, did you not even read the article? What a stupid thing to say. Well written, I enjoyed it.